Retail is all about branding, and here’s an excellent example of using custom wallpaper in an ice cream shop to give the exact look and feel desired. 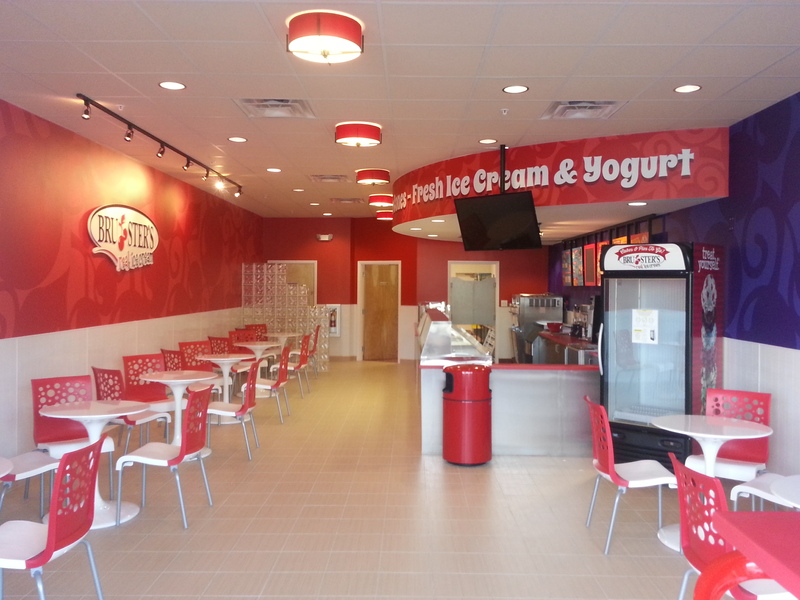 Brusters used our suede wallpaper to create their signature red and white look in a new store that will open tomorrow. Not only does it look good, but it’s durable and scrubbable. When kids get ice cream on the walls, as they inevitably will, they will be able to just wipe it off. We do a lot of restaurant work, and this is a great product for this kind of application. This entry was posted in Custom Printed Wallpaper and tagged branding wallpaper, restaurant wallpaper, scrubbable wallpaper. Bookmark the permalink.